Students at Circle of Life Academy needed to complete two important tasks on a recent Thursday: the Minnesota Comprehensive Assessments, and ceremonies for a 600-pound black bear. 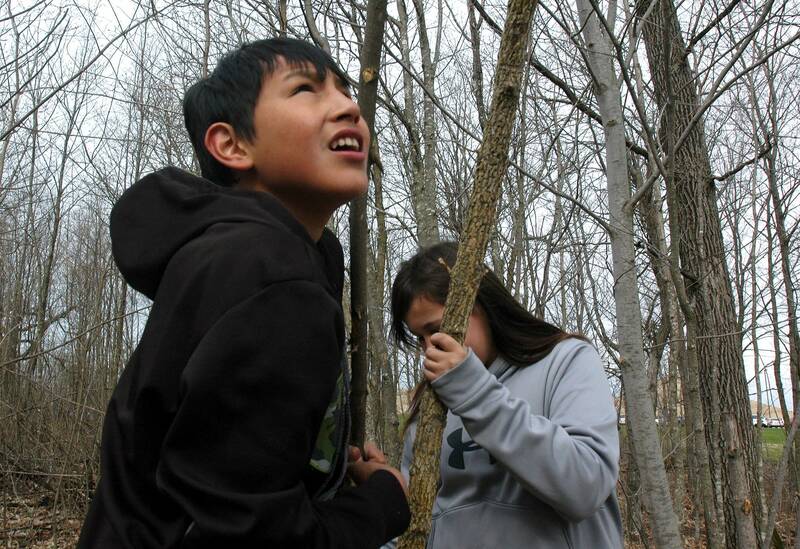 When they weren't sitting for hours at computers filling out questions for the state standardized tests, they headed to the school's "culture center," a converted wood shop for a lesson with deep roots in Ojibwe culture. There, teacher Ryan Bajan worked a piece of bear fat through his fingers, part of the process of rendering the fat of the animal, which had been killed in a car collision, into grease. 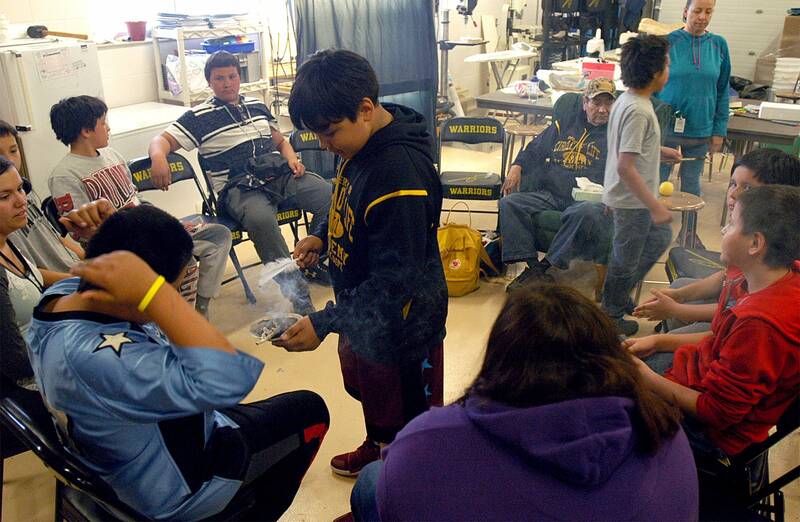 "It's considered, for the Anishinaabe people, one of the most sacred medicines," Bajan said. 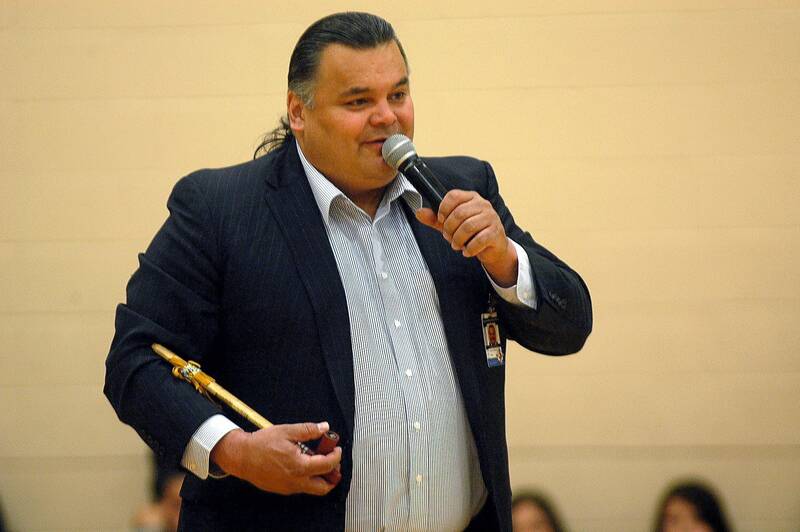 "In our culture, the bear clan, they are the protectors of our community," added Ricky White, superintendent of the K-12 school with just under 200 students on Minnesota's White Earth Reservation. To school leaders, the state tests and the bear ceremony were linked in vital ways. 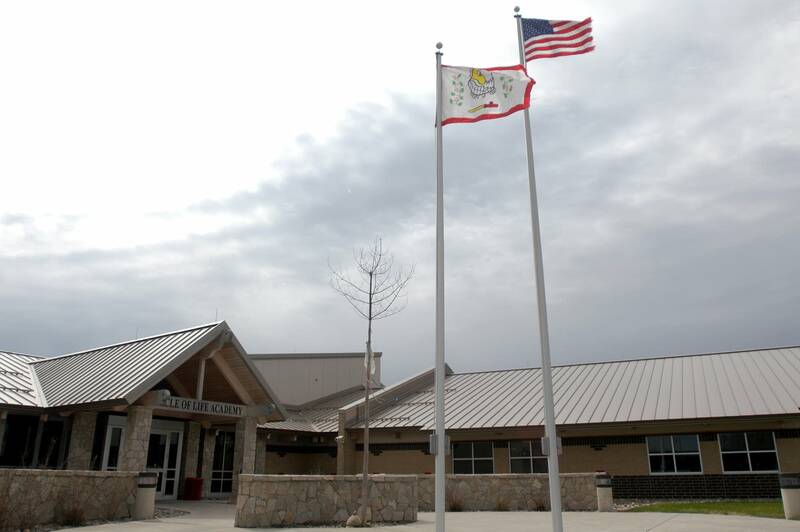 Using money from a 2015 state funding boost, the school built a curriculum connecting academics and native culture that has helped improve student achievement. 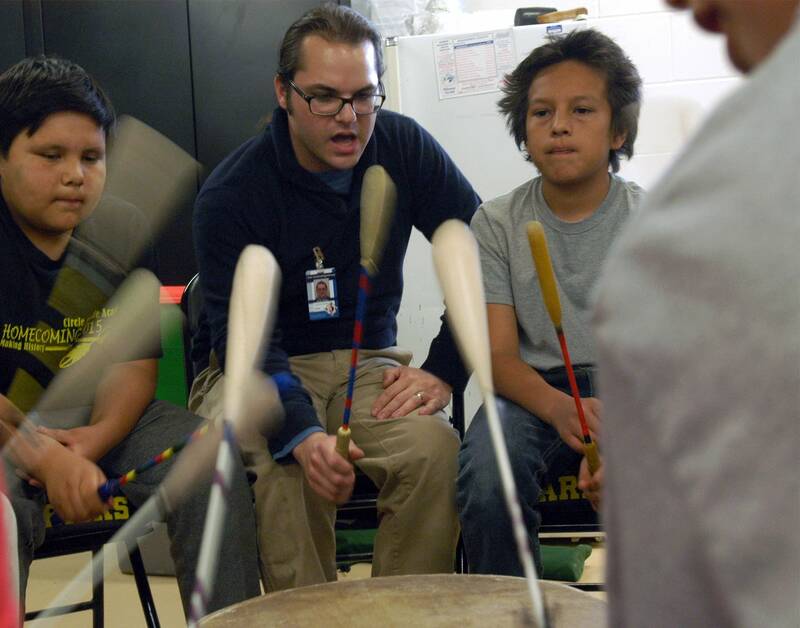 Circle of Life added four language and culture teachers who lead daily classes in the Ojibwe language and traditions. But school leaders say their progress is in jeopardy, because the state money is in danger of going away. Circle of Life is one of four "tribal contract schools" in Minnesota, which means it gets most of its funding from the federal government. The state chips in to help fill the gap between those federal funds and what the schools would get if they were under the usual state formula. The 2015 money more than doubled the cap on state contributions and, in Circle of Life's case, closed the gap. Without legislative action, the funds will drop next year back to their pre-2015 level. Circle of Life's revenue through this state fund was $691,719 after the 2015 law, compared to $349,080 the year before the increase. Circle of Life business manager Patleen Straub said the potential funding loss has been keeping her awake at night. She doesn't think the school will be able to continue the cultural programs if the state doesn't come through. White said he's anxious, too. Circle of Life would still have its academics, but White says the culture program helps pull students in. He says it energizes students, many of whom come from pretty tough backgrounds. The White Earth reservation includes the highest-poverty county in Minnesota. Eighty-six percent of Circle of Life students qualify for subsidized lunches. "We tend to think, 'Geez, we've got this proficiency issue we need to pound more math and reading!' Yes, you do, but how do you balance the mind of a young person within all that?" White said. 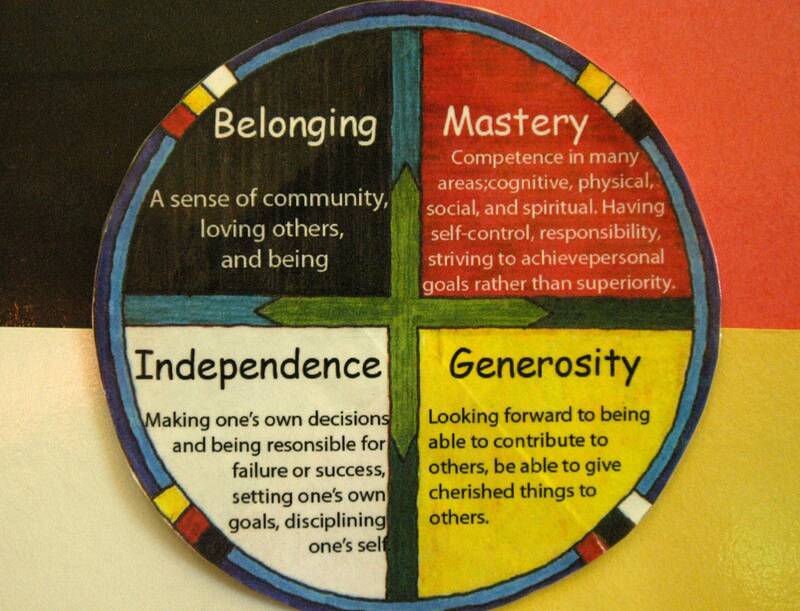 The need to recover cultural identity may be especially acute at Circle of Life. 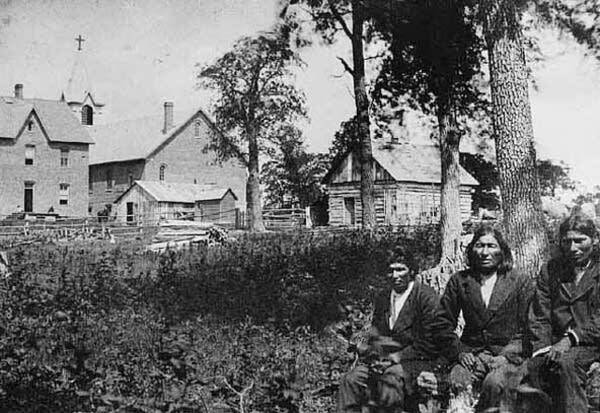 The White Earth reservation was created in 1867 with the intention that all Minnesota's Ojibwe people would be moved there, away from their historic homelands. While not all bands ended up at White Earth, many did, so the reservation is now home to members of many different communities. Bemidji State University professor Anton Treuer said it's past time for a different approach to educating American Indian students. Nationwide in 2014, that racial group was less likely to graduate high school in four years than any other. And Minnesota is near the bottom nationally for high school graduation rates for American Indian students. "Our school system is a white empowerment effort. So if you are white and you go to school you get to learn about how white people helped make America the great place that it is ... if you're native and you go to school you don't hear anything about you," Treuer said. "All of that marginalizes, excludes and builds negative self-esteem instead of positive self-esteem." 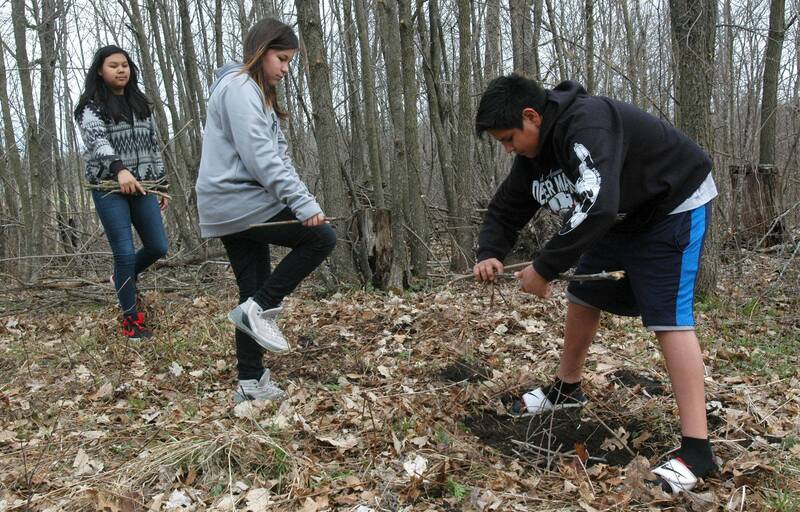 Some states, including Wisconsin, Washington and Montana, have laws requiring or encouraging schools to teach American Indian culture and history. Research on specific impacts on American Indian students is limited, though. In Minnesota, many aspects are included in state standards. Circle of Life Superintendent Ricky White has led an academic overhaul at the school, with a new reading program and teachers held accountable for sticking to the curriculum. Administrators make frequent visits to classrooms. Teachers post weekly lesson plans outside their doors, and some display class test results. Full-color, oversized posters in the hallway show results on midyear benchmark tests for every single student. There's still a long way to go. About 25 percent of students are proficient in math on the benchmark tests, and 30 percent in reading. But there's evidence of progress. Enrollment at Circle of Life is up. Misbehavior referrals are down. Results have improved on the benchmark tests. As this day drew to a close at Circle of Life, a group of students gathered in a circle for a traditional drum song. "The majority of kids here haven't grown up with the background ... I think emotionally it's really healthy for the kids here what's going on," said middle school Ojibwe culture teacher Becky Howard, who prefers her Ojibwe name Awanookwe, meaning "fog woman." Before the song each student recited his or her own Ojibwe name and an introduction in the language. Circle of Life senior Marissa Millage said she hopes to expand her newfound cultural knowledge after graduation. Millage said she hardly knew how to speak Ojibwe before coming to Circle of Life. Now she plans to study early education and Ojibwe and hopes to open a day care and teach the language. "I think it's important because a long time ago we used to speak Ojibwe fluent. And we got our language taken away from us," she said. "We're the next generation to keep [it] going." The playground at Circle of Life Academy overlooks a small body of water, waves rippling its surface. It's called Mission Lake. The lake is a reminder of the Catholic mission and boarding school that used to sit on this land. St. Benedict's Mission School was one of many similar boarding schools across the country. 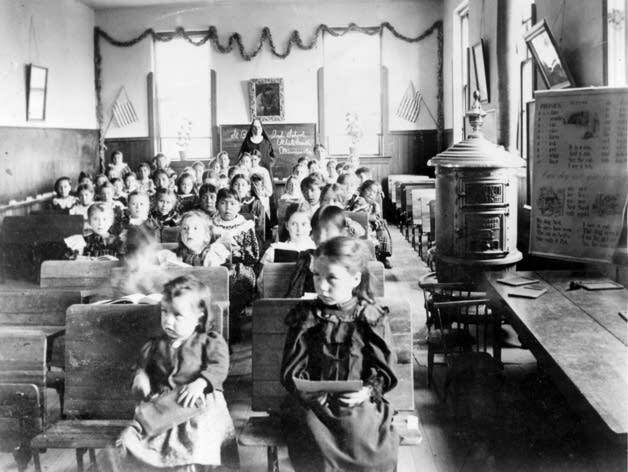 The schools aimed to eliminate American Indian children's traditional ways of life. Families were often forced to enroll their children, and schools had English-only policies and mandated European dress and customs. "They pretty much wanted to mold you the way they wanted to mold you ... the way they wanted you to be," said Loretta Solmon, a paraprofessional at Circle of Life. Solmon grew up on the White Earth reservation and attended St. Benedict's. Solmon's colleague and fellow former student Dorothy Zima remembered daily church services and strict discipline from nuns at the school. Now, 48 years after St. Benedict's closed, Circle of Life staff are working to link Ojibwe traditions and students' other school work. Zima said she's learning Ojibwe words along with her students. "Now I'm being taught by a native person, where when I went to school here it was all non-native staff that taught us," Zima said. "We are on the very spot where our Ojibwe language was taken away in the 1800s," Circle of Life Ojibwe language and culture teacher Awanookwe said. Correction (May 9 and 10, 2017): A previous version of this story used an incorrect first name for Ryan Bajan in a photo caption, and incorrectly identified the sign, which is a list of tenets of the curriculum used at the school.